Google Feud adapts the popular game show, Family Feud, by using Google Auto Complete Suggestions. Growing up, many of us remember watching Family Feud, the game where you guess the most popular responses to questions. Sometimes you’ll complete a sentence, pick a name or answer a common question with a preference. Google Feud applies the same concept but uses Google’s autocomplete search suggestions. Believe it or not, what most people search for might not be what you’d expect the answer to be. As I take play the game, I am presented with “how do I get a” and I need to complete the phrase. I try how do I get a “job” or “money” or “happiness” but the common responses are “pink eye,” “bed bugs,” “scabies” and so on. Whereas with Family Feud, you are surveying people on the street on these questions, Google Feud is using the most popular searches for those phrases, which will most often be very different from a survey. 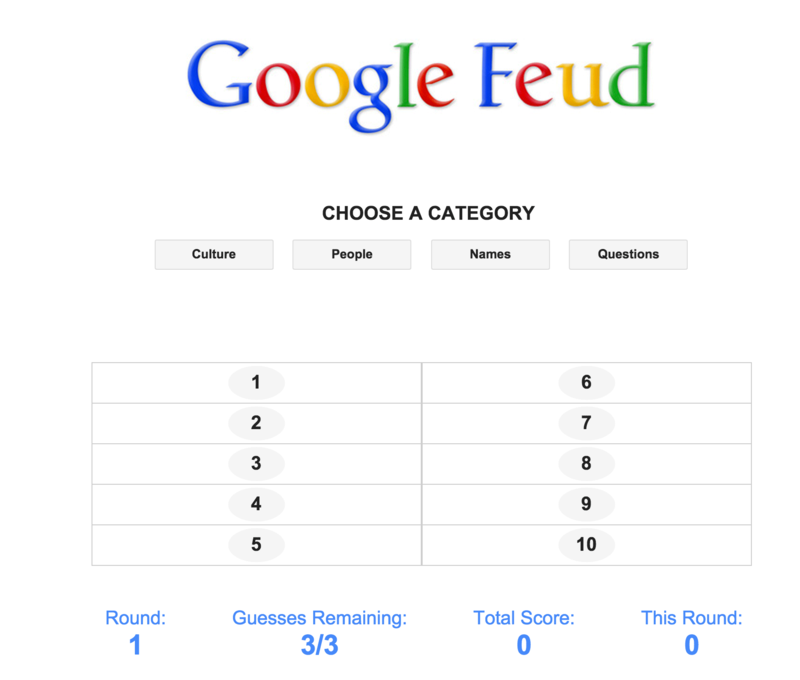 Go ahead, play it at googlefeud.com, be warned, it is addictive.